Home » Home Page Slider » Complete lighting solutions: we have you covered. Posted by cogden on Dec 8, 2012 in Home Page Slider | Comments Off on Complete lighting solutions: we have you covered. 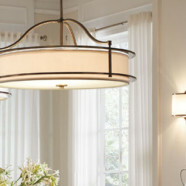 Come visit our showroom and see why Logan Electric continues to be the premier specialty lighting retailer in the area.